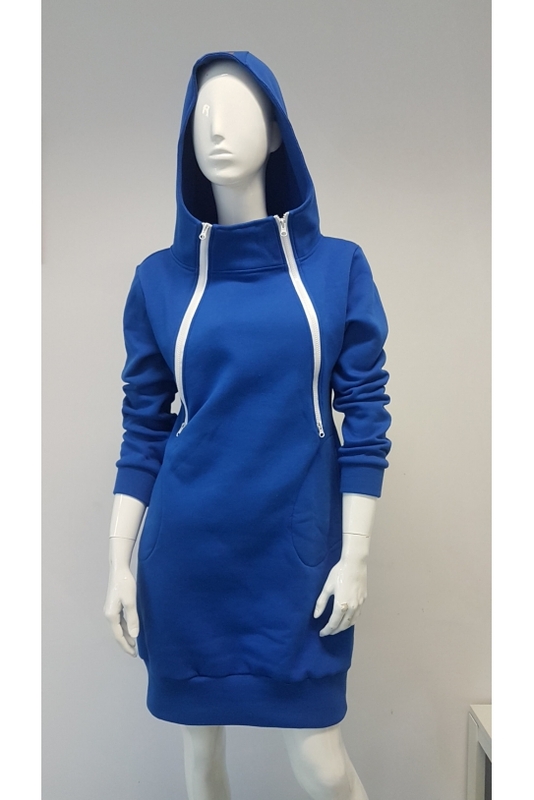 Be a trendy mommy - put on a hoodie dress. Choose the comfort and urban style that will work perfectly during your daily walks with your baby. 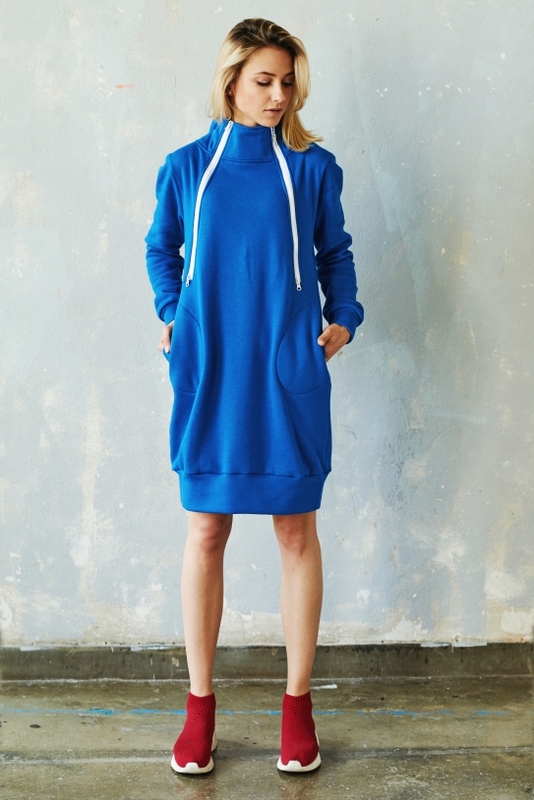 Check out what's different about the Mamatu hoodie dress. 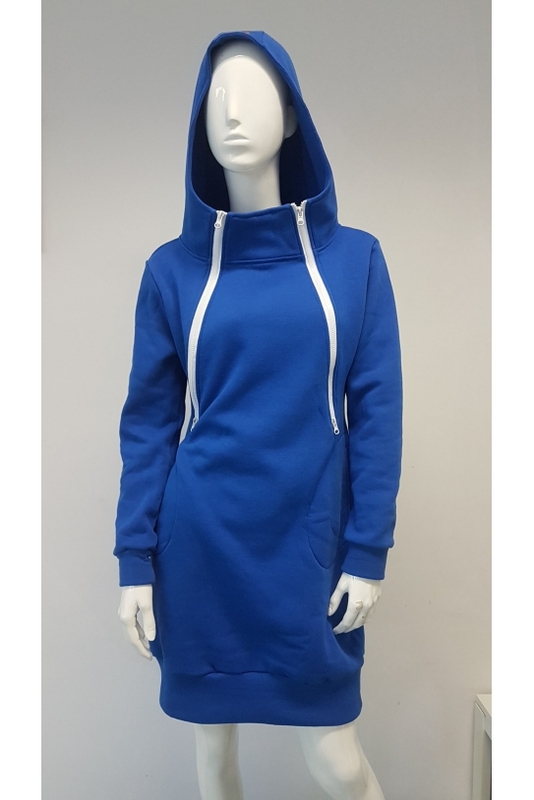 The hoodie dress is designed in such a way that breastfeeding is easy and enjoyable. 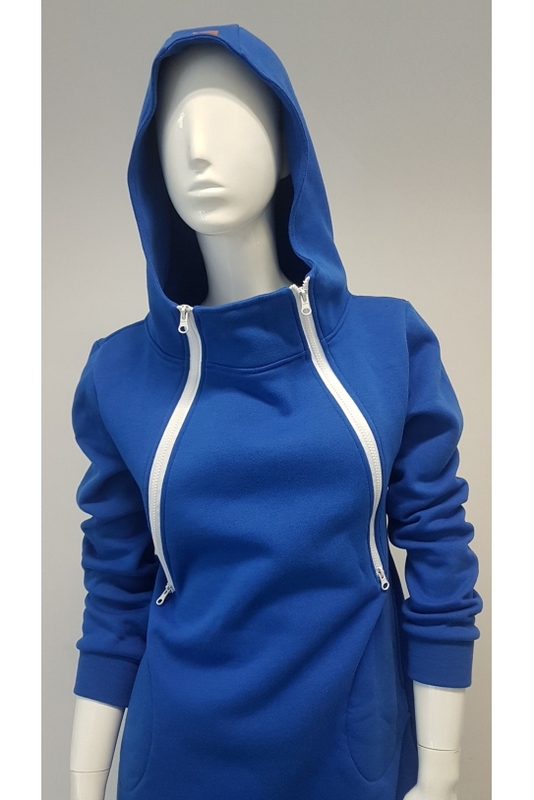 Two zip fasteners at the neckline are not only a decoration, but also a practical solution for every breastfeeding mom. 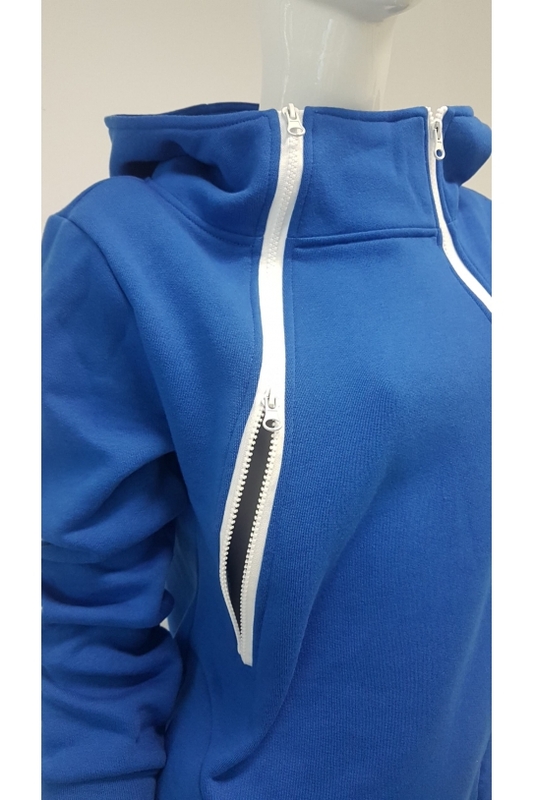 Just unzip one of them to the desired point to expose the breast and latch your baby. The width of the blouse also allows you to wear it during pregnancy. In this model we chose a trendy mix of melange pomegranate and fuchsia inserts. 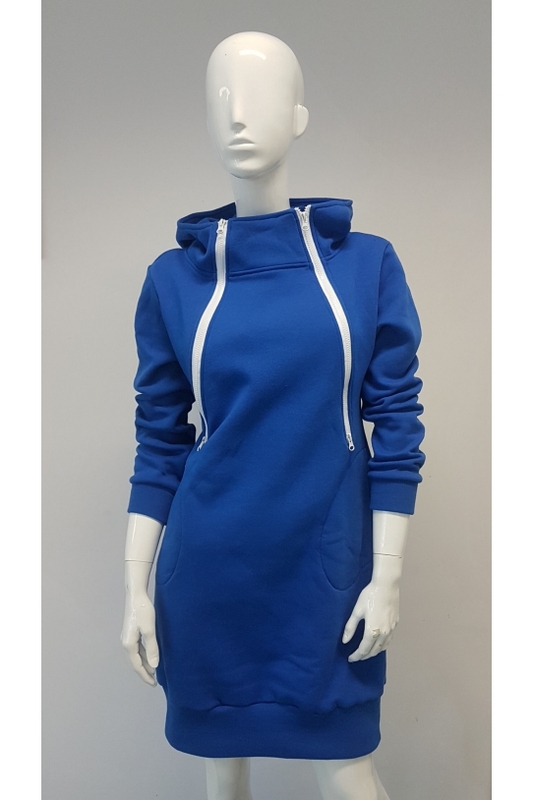 The length of the dress is ideal for wearing it alone, and in cooler days also with leggings or tube pants. Cotton fabric with elastane is nicely arranged and emphasizes female silhouette. high quality - the blouse is made of high quality cotton fabric with elastane, so that it will be able to accompany you all the time during pregnancy, breastfeeding and also after the end of this period.